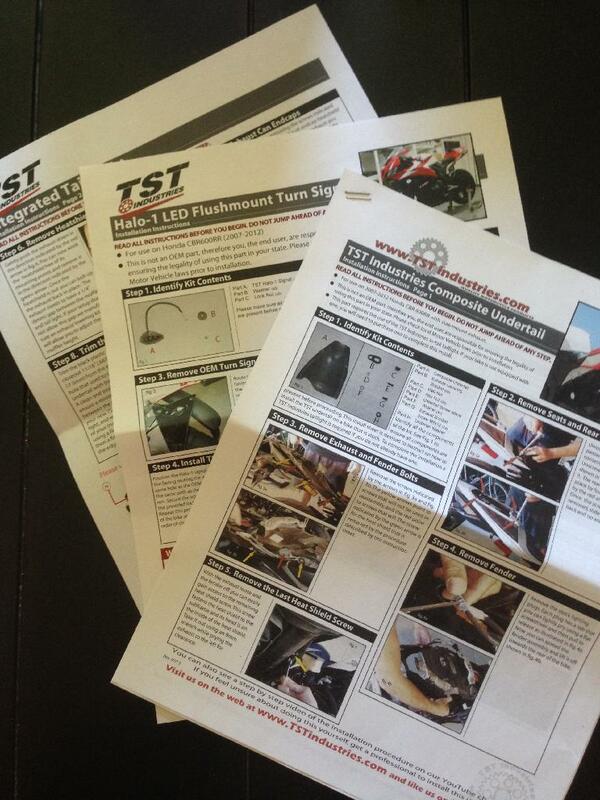 Here is my review of TST Industries carbon fiber undertail, IT, halo flush mount turn signals, license plate bracket. I will be adding pics shortly. 10/10 - Quick responses on email and PMs concerning my order. With the undertail needing custom cuts based on your exhaust mounting bracket I needed to measure my KR Tuned brackets so they could create a template. I measured poorly the first time and was off by 1/8th of an inch. We decided it was best to get the lowering links out to me so I could lower the exhaust and get a true measurement. All this happened over a matter of days and Bart was always quick to respond and patient with me to make sure we got the cuts perfect. 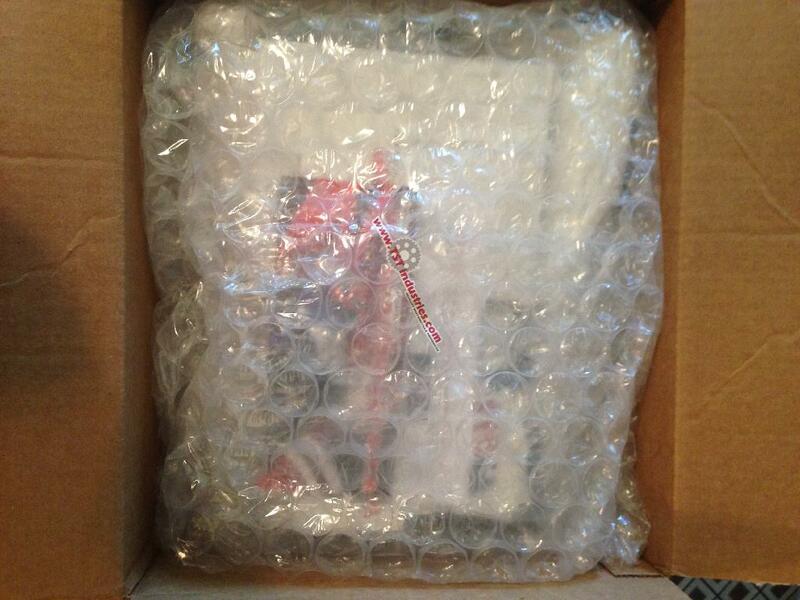 10/10 - With multiple things ordered it was all carefully packed and bubble wrapped. Each part was in perfect shape. The undertail was completely wrapped in padding. 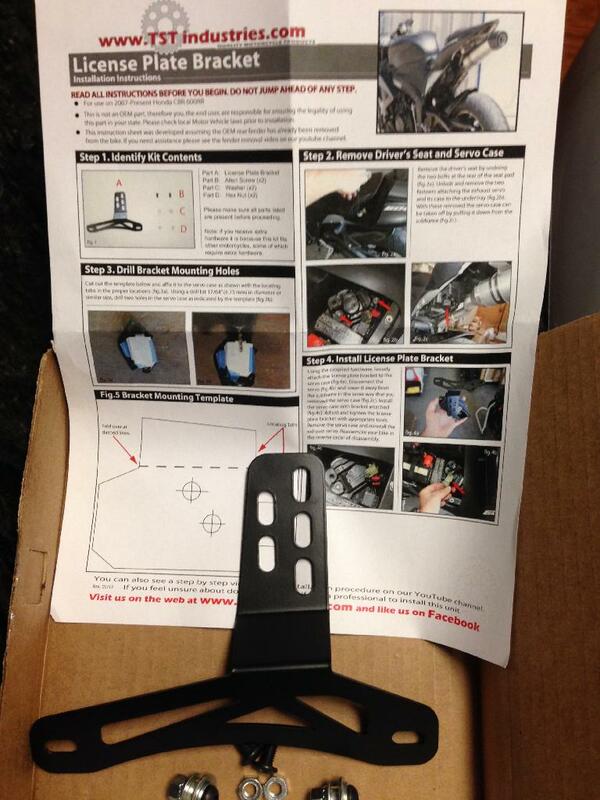 All parts came with full color installation instructions and they also have videos for many parts. 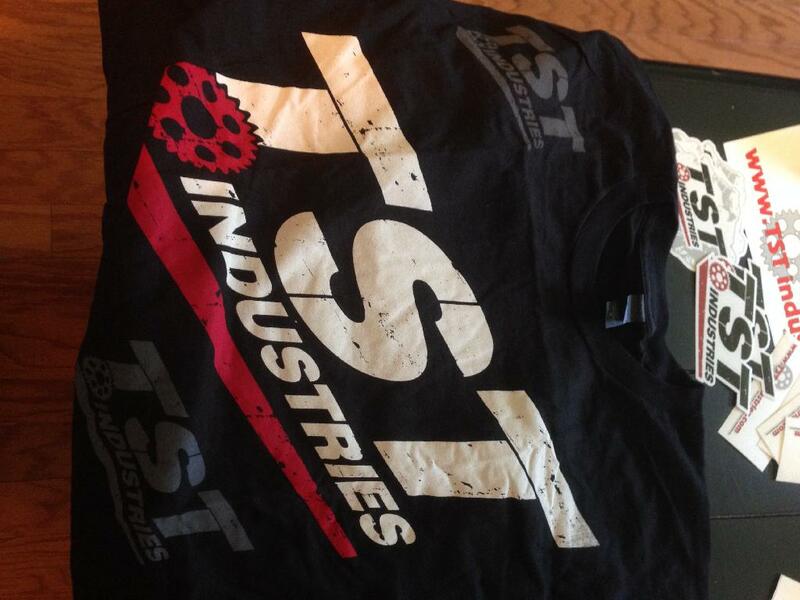 I even got a shirt and some decals for ordering over $250! 9/10 - undertail with exhaust lowering link - It has foam padding in contact points to prevent wear. The cuts for the exhaust bracket were in the exact spot needed and the shape fit directly along the subframe. The only reason this is not a 10 is the slight difference between aftermarket parts and OEM. 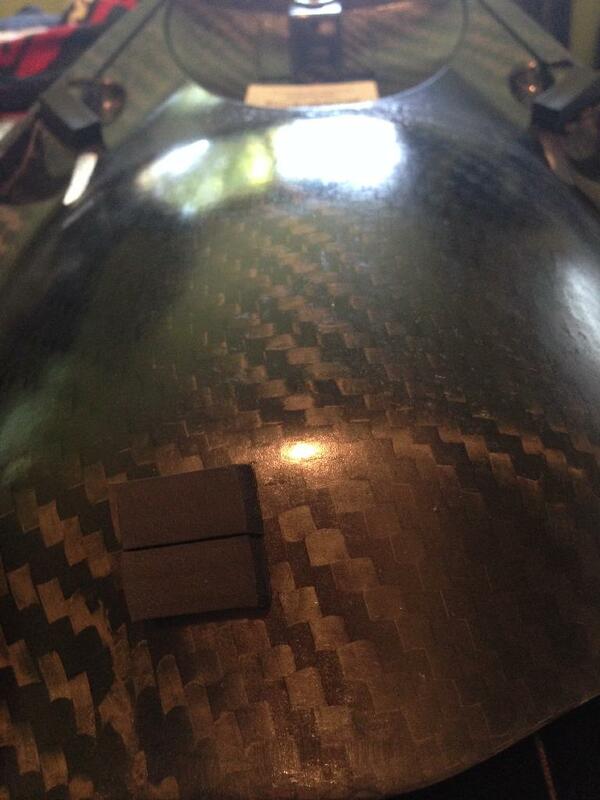 The curves in the CF mold make the edges that overlap the tail fairing and there is a slight difference. I hope I'm explaining that right. 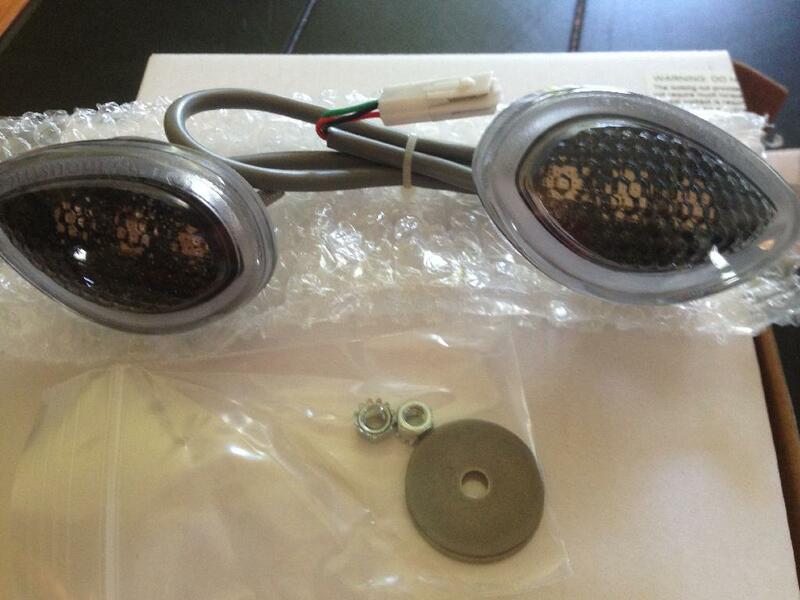 10/10 - halo flush mount turn signals - They fit better than the Hot Bodies that were on the bike when I bought it in that they do not sit IN the hole from the OEM turn signals. They are actually sitting outside so you get a better range of view of them. 9/10 - taillight - This is a perfect fit into the tail piece and sit right up against the undertail. The only thing that makes this a 9 is the plastic tabs that hold it on place. 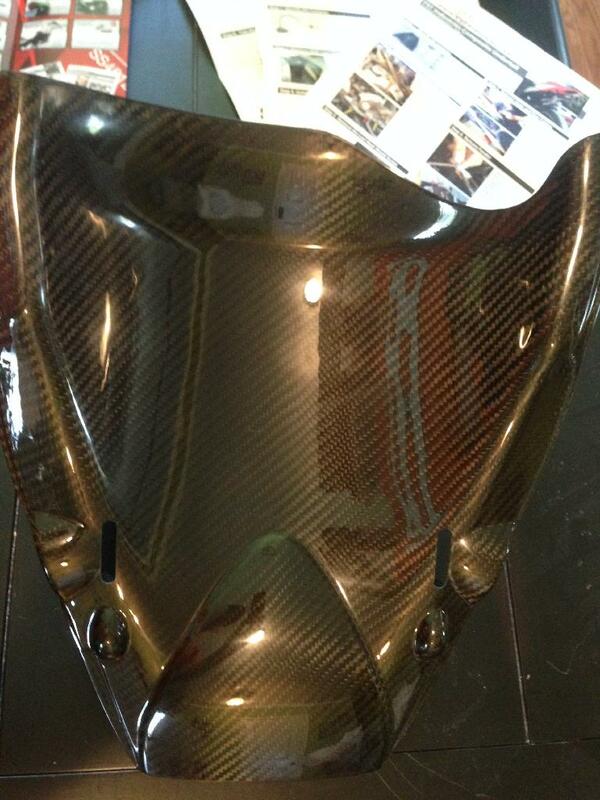 This is a great design so the light is secured by the two rear bolts of the tail piece. The tabs are thick enough that is was tight getting the bolts back in with the tail piece all lining up. Now this may have been due to my undertail since I have never fitted the taillight separately. 10/10 - flasher relay - The taillight/turn signals require a flasher relay to control the speed of the lights blinking. With a lower load from the LEDs he signals will flash rapidly. This relay controls the flash and is adjustable to flash at a rate you like. It is literally plug and play. 10/10 - plate bracket - It fits up under the exhaust servo so it is not hanging out the back which I really like. It is completely adjustable to get the right fit. It looks great. 9/10 - undertail with exhaust lowering link - This is fairly simple as the taking off the tail. 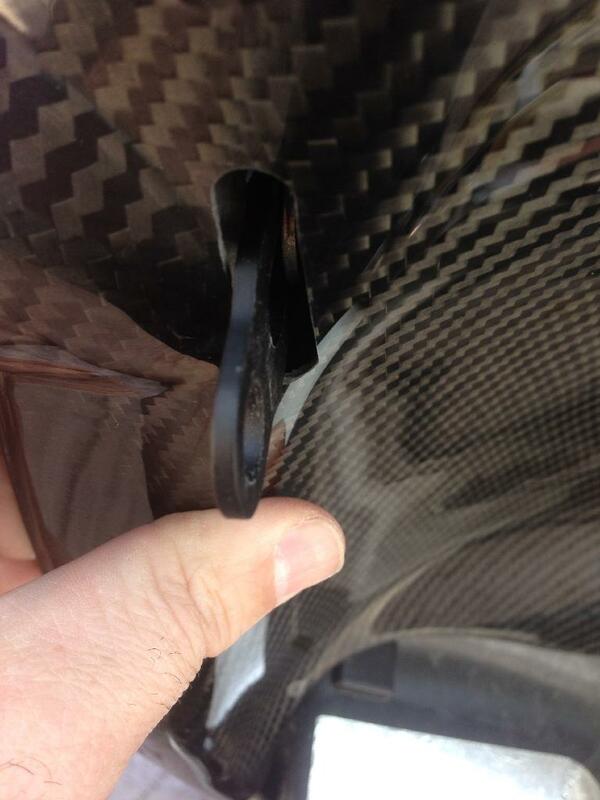 The undertail is held in place by a bolt through the OEM hole in the tail into a supplied well nut. It was a little difficult to hold the undertail in place while lining up the bolt and well nut with out one more hand (the wife wasn't home). The lowering links are attached to the mounting brackets for the exhaust with supplied bolts, washers and lock nuts. Fairly self explanatory. 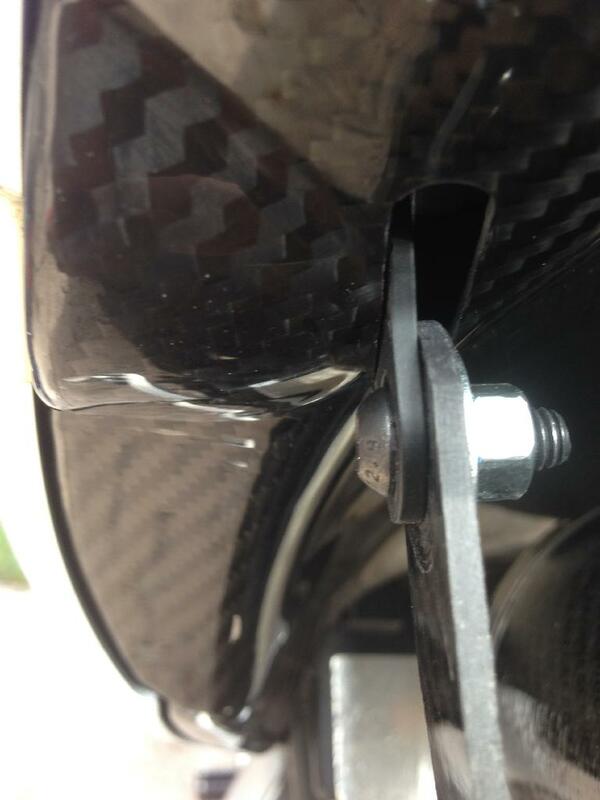 My only suggestion is that the longer hole in the link (adjuster slide) is on top so it hides up in the undertail. It just looks cleaner. 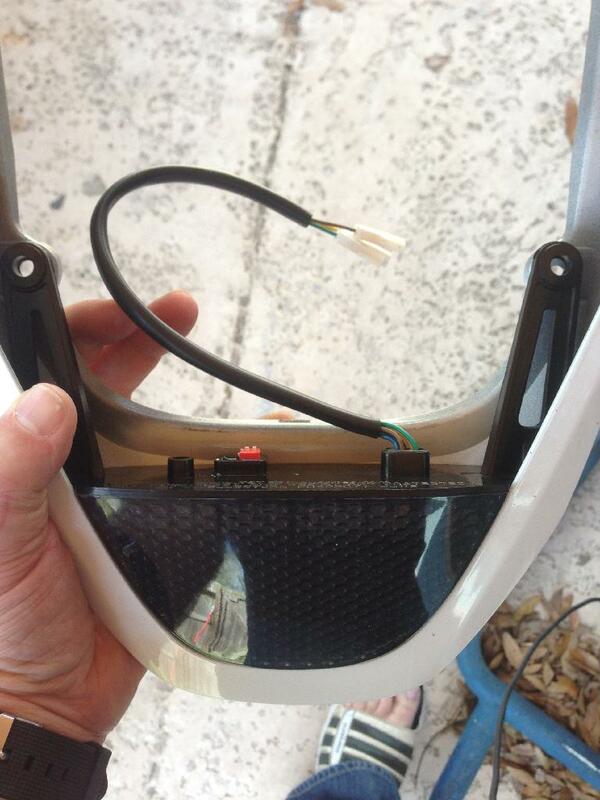 10/10 - halo flush mount turn signals - I have never removed OEM turn signals but these install into the side fairing and is a quick change. My bike had Hot Bodies installed so just undid those and removed them. Very simple to unplug old and plug in the new. One bolt with a nut, see warning about not over tightening (much appreciated), put the fairing back on. 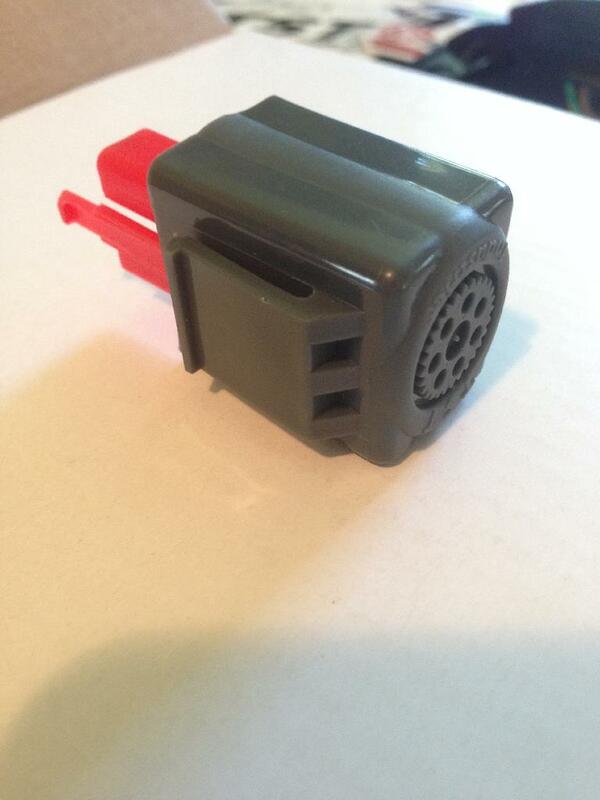 10/10 - flasher relay - Under the seat you unplug the OEM relay and plug in the TST relay. Done. 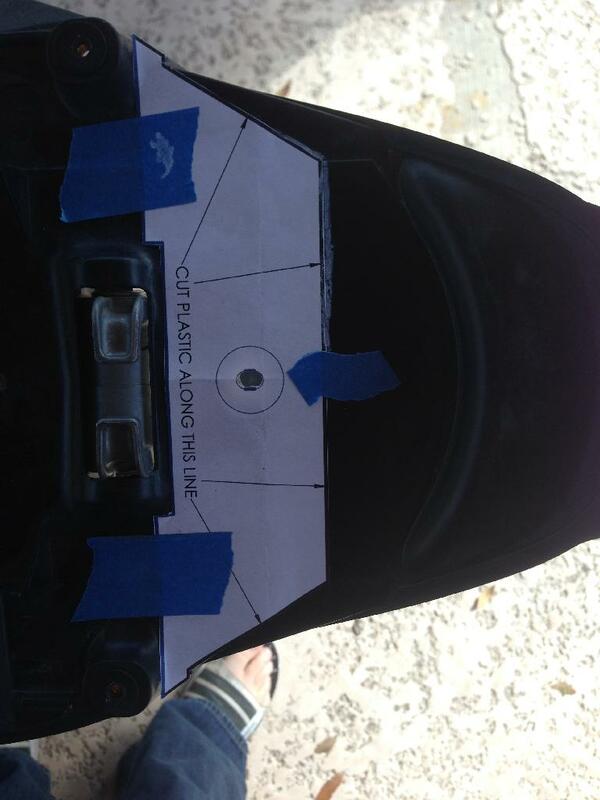 8/10 - taillight - This takes a little prep and planning. The great thing is there is an installation video and the full color instructions. They give you a template that you tape on the tail so you can cut it properly to allow room for the taillight. It snapped directly into the tail perfectly and the mounting tabs were slightly difficult to line up and get the tail fairing bolt back in. Again, this could have been due to the undertail as well. It looks as though there would be a small gap between the taillight and the battery tray that you cut if you did not have the undertail. This is not an issue if you have it since the taillight and the undertail meet perfectly. 10/10 - undertail with exhaust lowering link - The lowering link really help two things. 1.keeping the taillight visible and 2.to keep the exhaust from touching the undertail. The undertail cleans up the underside and matches up with the taillight so you have good clean lines plus...it's carbon fiber! 10/10 - halo flush mount turn signals - I felt at first that the halos could be brighter but now that I have seen them at night while riding they are great. The turn signal LEDs are absolutely amazing! (see comparison video) So bright, you can see them light up the street! 10/10 - taillight - This is also amazingly bright! I am very impressed! I got multiple comments on the sequential integrated turn signals on the ride yesterday. The cool thing here is there are pin switched that turn on and off each feature. The brake lights quick flash (which is what I like) or just steady come on when the brake lever is pulled. The turn signals are either sequential or steady blink. Speed is controlled from the relay. 10/10 - flasher relay - I have not made an adjustment to the speed yet. 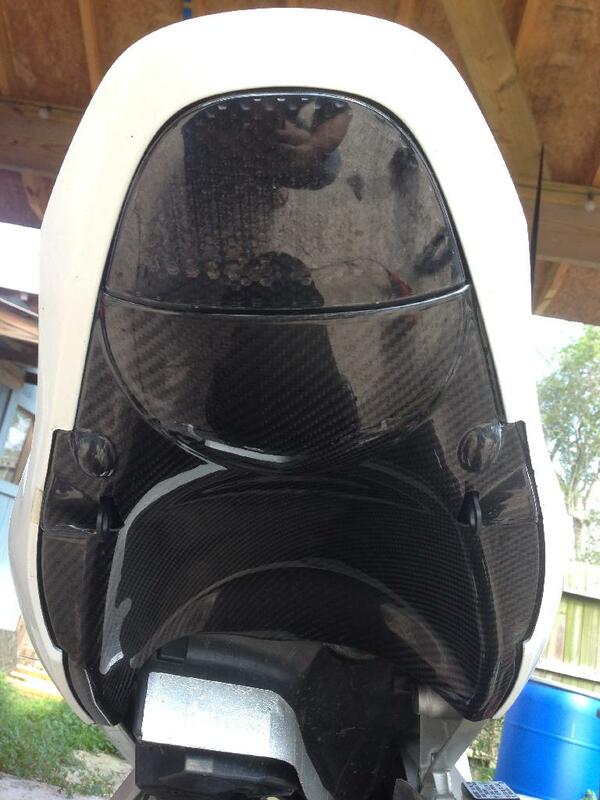 It comes set on the factory speed but you can remove the cover and adjust it up or down. I will report back when I make an adjustment. I think I want to speed it up slightly. 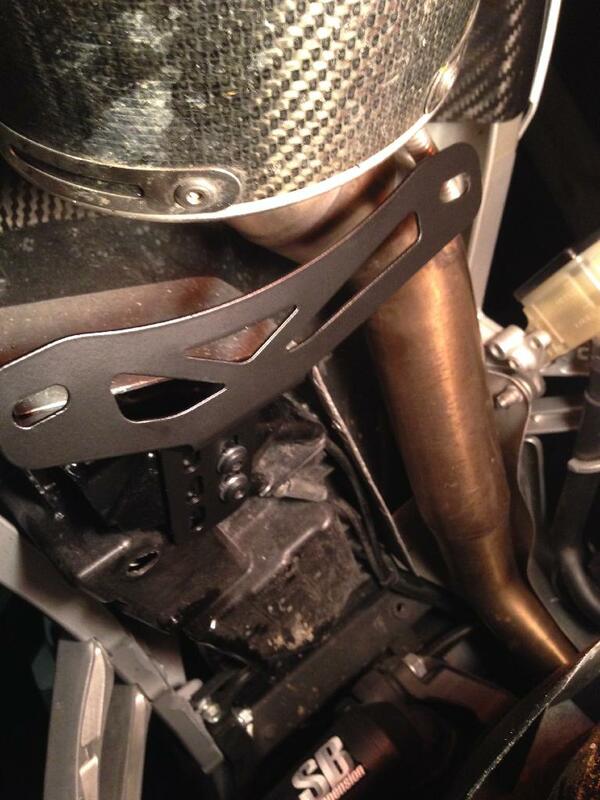 10/10 - plate bracket - It is cut out to be light weight and sets back up under the tail and is designed to fit along the end of the exhaust under the midpipe. It sits at a good angle so it can be seen but is not too close to the rear hugger. 10/10 - I am very happy with the functionality and appearance of all the parts. I am extremely happy with the way the taillight and undertail fit together and how smooth it makes the tail look. The halo turn signals are sooo much brighter and unique with the halo feature. The customer service has been spot on and everything shipped quickly and they have been very helpful. The instructions and videos are a great help and make it a very smooth install. I am looking forward to more from them!